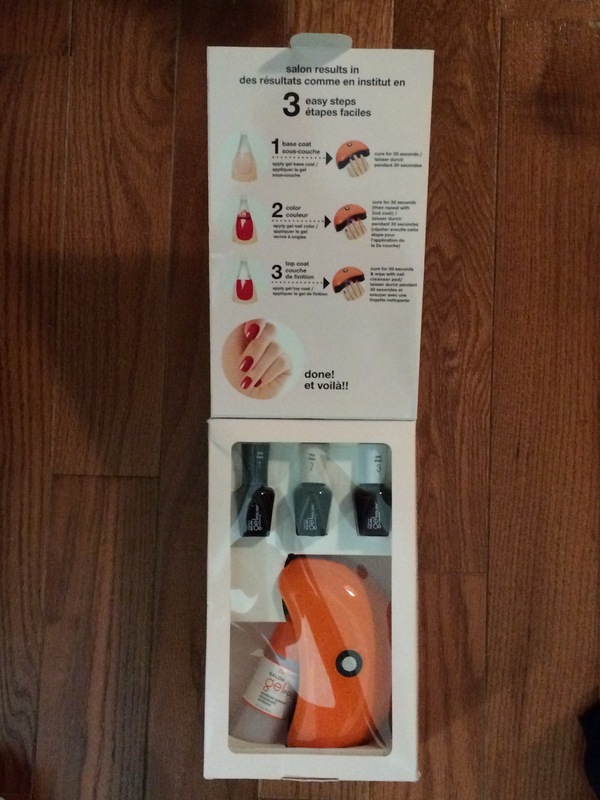 I splurged this weekend and bought myself the Sally Hansen gel manicure starter kit in Shell We Dance. It was literally like unwrapping a new toy. 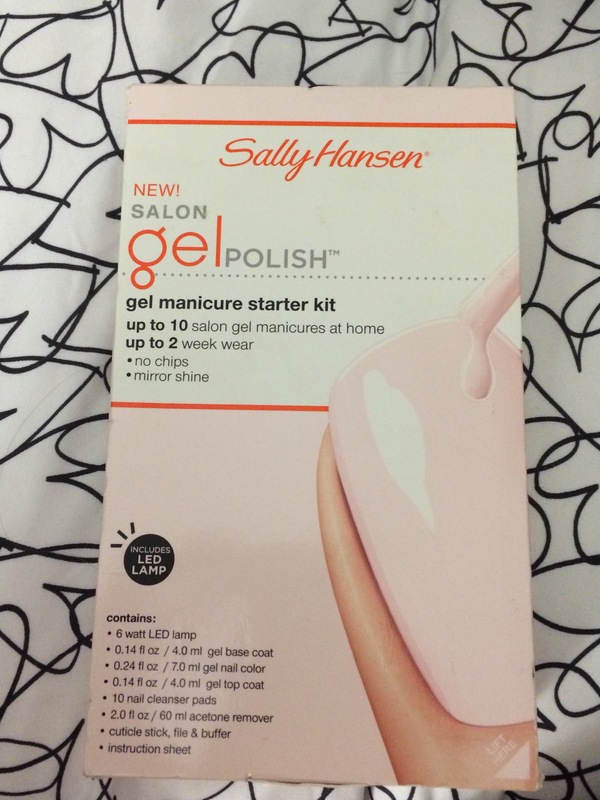 I had done some research on this kit and found that most everyone liked it and Sally Hansen offers a range of other gel colors that are compatible with this kit. Though part of me wants to see if I can buy the OPI and Essie gel colors and test them out in this thing. Has anyone tried this? This kit comes with all the essentials to get started with your at-home gel kit: base coat, color, and top coat, the LED lamp, cleanser pads, acetone remover and a small nail file and cuticle stick. I read the instructions and got to work, and it was actually pretty simple. Prep your nails, make sure to use the alcohol pads on them to get your nails super dry. Then apply base coat and cure, then color and cure, color again and cure, top coat and cure x 2 (I cured twice at the end). The lamp stays on for 30 second increments. 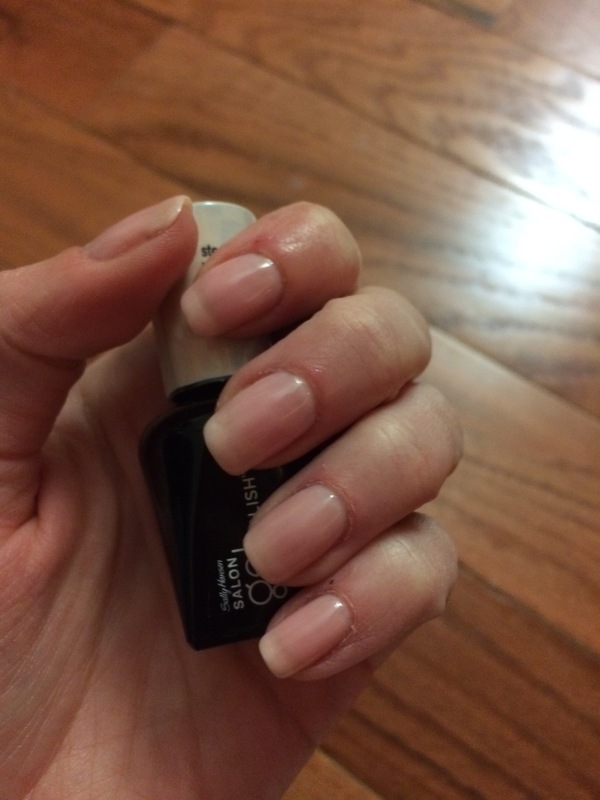 FYI: my nails were still “wet” after curing the base coat, and only the base coat. Not sure if that’s normal for this kit because I’m pretty sure the base coat always dries at the nail salon. Maybe I should have cured them twice, oh well, learnings for next time. I love the nail color “Shell We Dance” it’s very light and resembles my favorite Essie Sugar Daddy. This kit comes in two other colors a red and a fuchsia. I can’t wait to get other colors (of course!) 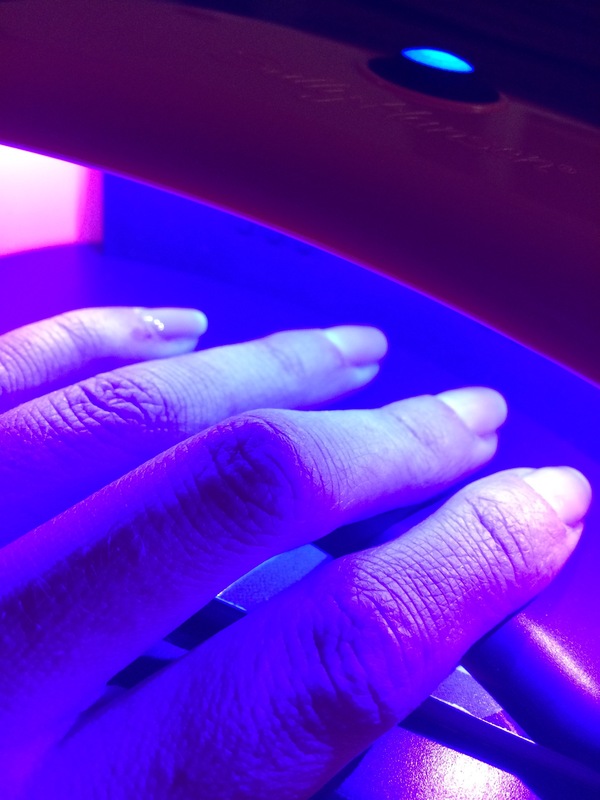 and try out some nail art + the LED lamp. I’m interested to see what works! P.S. This kit retails for $40. Don’t pay any higher. In NYC, they sell for $60 at Duane Reade and that’s very high. I purchased my kit at Bed Bath & Beyond and used a 20% off coupon. Amazon also has it for less than $40. I have an at home gel nail kit and from my experience you can use any brand of gel polish with them(: You can also use regular nail polish, just skip the base coat (use the regular polish and the gel top coat) but it is really hard to remove. 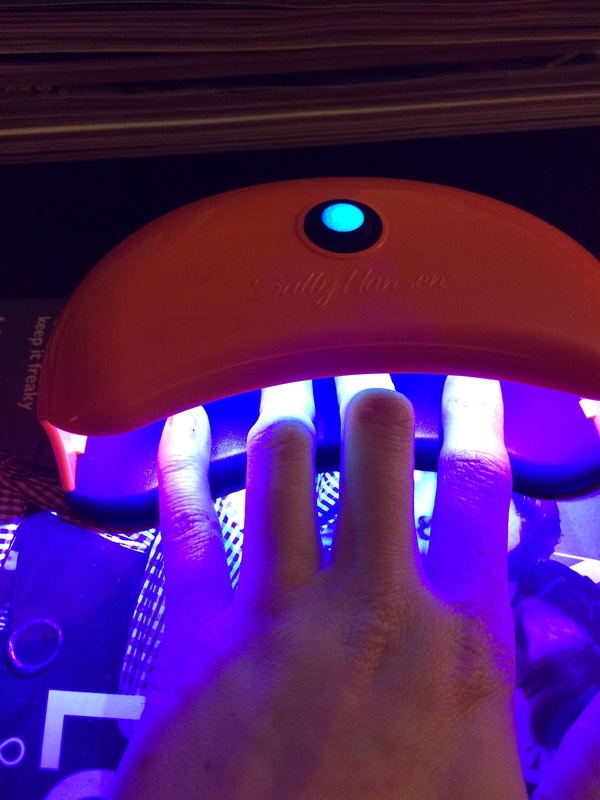 It saves so much time and money with not having to go to the salon every couple weeks!